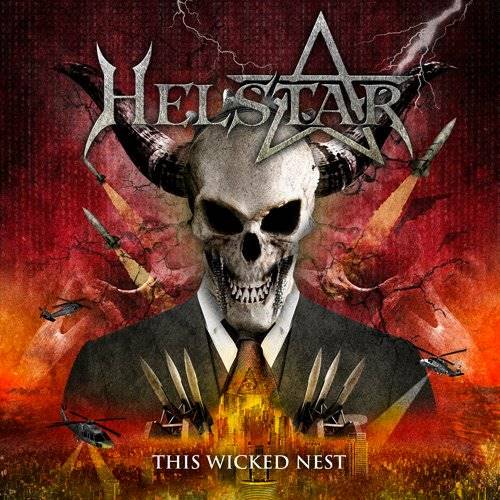 Texas-based metal veterans HELSTAR will release their new studio album, "This Wicked Nest", on April 25 via AFM Records. It will be available on CD and vinyl. The cover artwork for the effort can be seen below. Bassist Jerry Abarca is taking an extended break from the HELSTAR for health reasons and was temporarily replaced for the band's shows by Mike LePond of SYMPHONY X.
HELSTAR released "30 Years Of Hel", a DVD containing footage of the band's March 24, 2012 30-year-anniversary hometown show at Warehouse Live in Houston, on October 2, 2012 in North America (August 31, 2012 in Europe) via AFM Records. The DVD+2CD set includes footage of the band performing songs spanning its entire career, including material from the often-overlooked "Multiples Of Black" release. The package also features interviews with each bandmember, as well as with the entire group, conducted by "Robb's MetalWorks" and focusing specifically on this milestone. HELSTAR released its latest album, "Glory Of Chaos", in November 2010 via Germany's AFM Records. 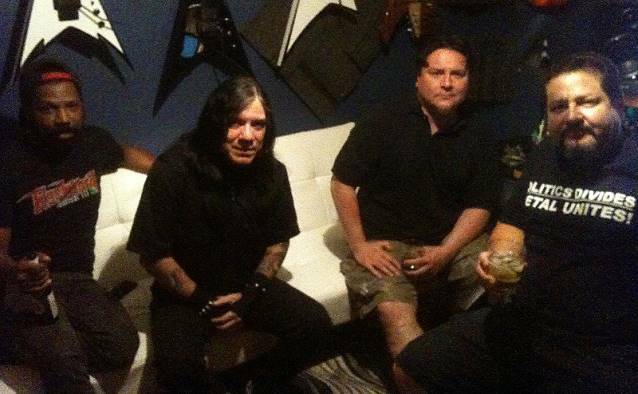 Formed in Houston in the early '80s, HELSTAR cut its teeth playing backyard parties and small club gigs. It soon became apparent that HELSTAR had much more to offer then its contemporaries. Combat Records snapped up the band and released HELSTAR's debut, "Burning Star", in 1984. Next came "Remnants of War", followed by HELSTAR's breakthrough album, "A Distant Thunder", in 1988. The success of "A Distant Thunder" ultimately set up HELSTAR's most critically acclaimed album, 1989's "Nosferatu".